Itcnav, did you purchase your WWII collection 10/22's already manufactured that way, or did you "build" those? My WW2 1022 collection, all good shooters. looks good, but not good enough for the 389.00 price tag, LGS had 4 in the sales rack. too expensive for a 10/22 in my opinion. 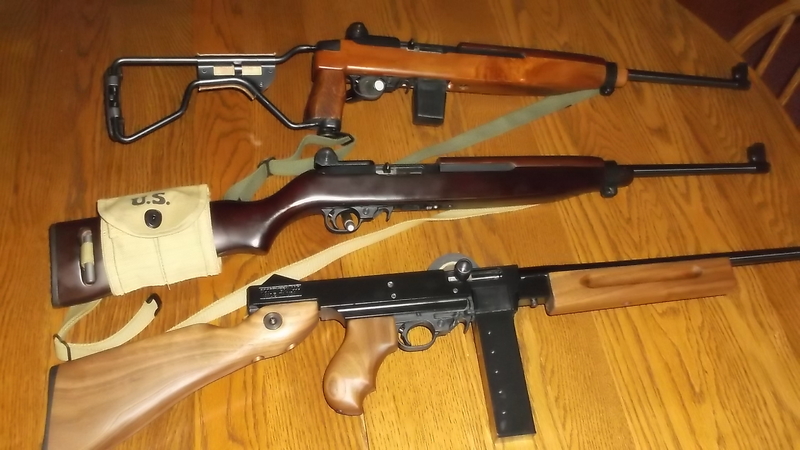 I will stick with my chiappa M-1 carbine clone, runs so good and a lot less expensive. looks more like a .30 cal carbine. I know, here comes the rocks and sticks, it isn't a ruger!! As of three hours ago I now have two of these rifles. Today I paid $304 out the door. If it runs as well as my first one I'll be happy. I'm not a reenactor so I don't care if it doesn't look exactly an M1 carbine. 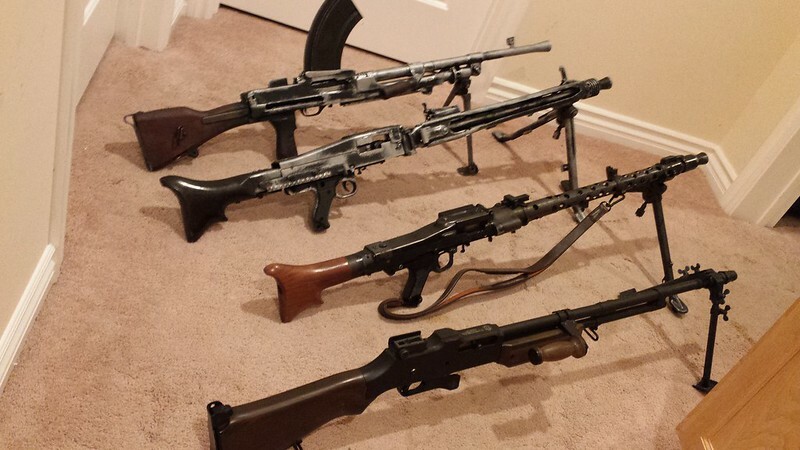 However, I am a Ruger fan and so these rifles fit nicely into my collection. The walnut stocks are amazing. I ordered a M1 barrel and receiver sight. I'll someday buy a M1 stock. Look at the GM web site , they gotta pretty nifty little Woden stock , for their finned barrel,thingy. Does anybody know if the tech sight rear sight TS100 is compatible with the height of the Ruger front sight? The Ruger front sight looks much better imho. I'm looking at mine.. I don't know for sure if the G.I. Tech-sights (rear ). Would work with the M1 front sight. The tech sights are pretty high.